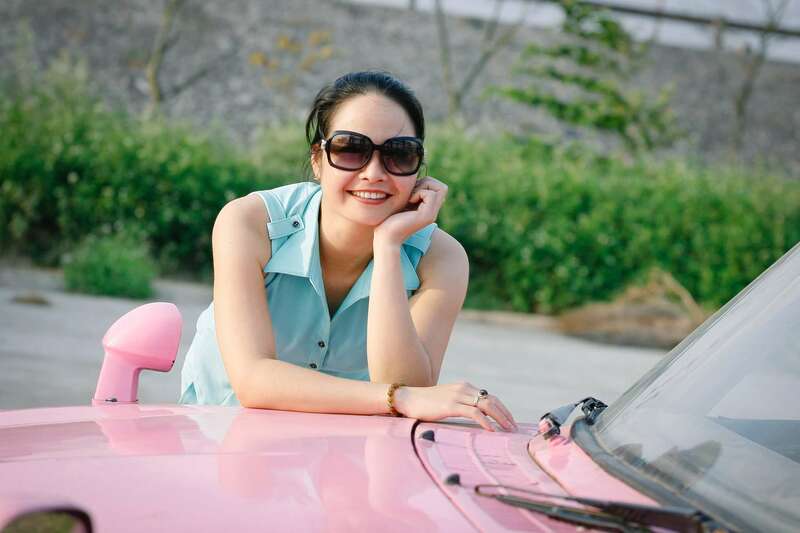 Surviving on one income as a single mum is a challenge. Even if you have a job that allows you the flexibility to honour your mum duties, it’s possible your financial ends don’t meet and you need to make more money. However busy your life, if you think creatively and are determined, you can improve your financial situation. Four years ago, I was working part-time, Uber driving, doing contract marketing work, setting-up Beanstalk and aspiring to be the best single mum I could be. It was hard, but it was worth it. And I discovered just how capable I really was! Now let’s talk about you. You are a single mum. You can do anything! 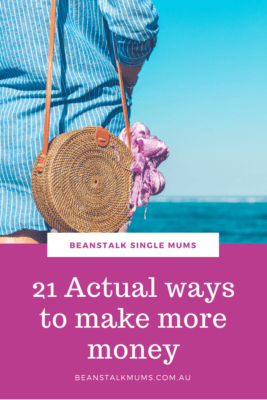 If you’re a single mum who needs money fast, here are some practical and seriously doable extra income ideas to think about. Yes, there really is such a thing, and you can be a part of it for free. Passel are paving the way, and in the process allowing ordinary peeps like you and I to earn easy money by doing very little. Simply sign-up (you have to provide your address but it is super-safe), then when you’re at the shops you’ll get a notification if anyone needs a parcel collecting and delivering on your way home. Completing online surveys is a well-known way for busy mums to make extra cash on the side. But payments can be minimal and often not worthwhile. One exception is Octopus. Octopus has the highest survey cash rate that I know. And you can earn even more by referring your friends. It also allows you to offer your valuable opinion to help companies improve their services/products .. and we all love the opportunity to share our opinions! Selling second-hand items on eBay, Gumtree or Facebook can be a profitable side-hustle for single mums if you do it right. A well-known method for making money off second-hand items is to regularly visit your local charity shops. Not only do the items you buy contribute to a worthy cause, but it also gives you an opportunity to make some extra cash. Hint: To ensure you get to purchase the best items consider volunteering. It will make you feel amazing, and help you in the long run. If you’re a social media whiz and already spend far too much time online, then you might like to consider online blogging as a profession. 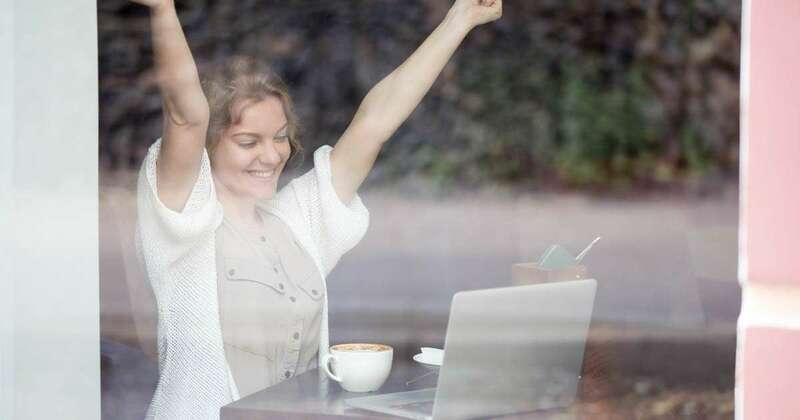 Mummy bloggers make their money in a number of ways but the best is affiliate marketing as it creates a brilliant passive income … and you don’t need a massive following to start earning. I can’t recommend this is enough. Starting a blog is a great lifestyle choice, which will allow you to make money from home online, and bring enjoyment to many others. Uber driving literally saved me when I desperately needed extra cash. The Uber team make it incredibly easy to become a driver, which involves having your car assessed and a personal health check. Once you have your Uber plates, you simply sign into the app and start driving whenever and wherever you like, allowing you complete control over your hours and your earnings. And they pay you weekly so Uber driving is brilliant if you’re a single mum who needs money fast. If you don’t fancy chatting to passengers, being an Uber Eats driver may be more suited to you. If you have a knack for teaching you might want to consider tutoring as a way to make extra money on the side. I know where I live there is a big gap in the market for good tutors. And it’s easier than you think. Wyzant connects tutors to students across the world and makes online teaching easier than ever. If you’d prefer to do it solo, advertising on Gumtree or Craigslist and teaching over Skype can be a fantastic (and budget-friendly) option. Thanks to the genius creators of Airbnb, going on holidays can actually make extra income. Whether you’re positioned somewhere close to the CBD or have a quaint little property in the middle of nowhere, you can still connect with people looking for new holiday destinations. You can opt to only rent out your place while you’re away or turn your downstairs living area into a rentable space. A bit of spare time and an extra room is all you need to turn your home into a money making machine. Dog walking can earn you some extra cash, keep you fit and wear your kids out before bedtime. This makes it a great option for the single mums out there who actually enjoy exercise … and the worst option on this list if you hate it like the rest of us. Cashback is music to my ears. Websites such as Cash Rewards and Cashback Club offer members cashback on all their goods and services purchased online via their portals. Join for free and shop as normal (necessities only please ladies, we are trying to ‘make’ money here) and you will earn cashback on every purchase. Making and selling homemade craft can be a fun way to make extra money on the side fast. Pinterest and Etsy are two awesome places for craft inspiration and eBay, Gumtree or your local markets are perfect platforms for selling your products. Pallet craft, hand-made soaps and jewellery are options that can be made to suit any niché market. Mystery shopping can be a fantastic way for families to save money on products they already purchase regularly. Sites such as Mystery Shopper Australia give you the opportunity to review products in return for financial compensation. If you’ve not read (or listened to) The Barefoot Investor yet, I suggest you do. This entertaining yet highly effective money guide works whatever your current financial state. As well as a myriad of other finance tips, it explains how to make the money you already have (however little) work for you i.e. make more money. I can honestly say that by page 20 of this book I was saving more money than ever, making extra money and had financial peace-of-mind, which is a damn good feeling. Babysitting is a great option for single mums to make money provided you have the patience, space and appropriate qualifications. Already being a mum makes you highly qualified for this role but a first aid certificate, blue card and police check will ensure both you and the children you care for are protected. If you’re thinking about looking after children full-time, starting a family daycare is another great option. Your children will learn valuable social skills, you’ll be earning extra money and you’ll have the flexibility to raise your children at home. Win-win-win! Swagbucks has finally reached Australia and it’s worth checking out. Swagbucks rewards you for all the things you are already doing online. Simply participate in activities like taking surveys and playing games, and you get rewarded with Swagbucks currency that you can trade in for prizes on their website. It’s free to join and a very real way to make money from home. If you have the ability to multitask effortlessly and make the rest of us jealous with your extreme organisation skills then you might like to consider becoming a virtual assistant. Companies like UpWork and 121Temps link assistants with interested companies but consider sifting through your local job sites first for work that might already be available. A confident phone manner, excellent communication skills and a home office are all you need to start making money. If you love gardening and have enough space, you can always grow and sell your own produce to make extra money. Get in touch with your local farmer’s market and invest in a second-hand stall to turn your hobby into a business. If you have older children this can be a great way to get them away from the computer and working outside. Earning their own money will introduce them to the workforce, build character and give them a sense of achievement. I worded the title of this point carefully as investing in shares is an easy way to make money by doing very little, but it is also a risk. If you have some spare cash and know what you’re doing (or you have a friend who does) an investment can be profitable. Usually investments are best long-term, but it is possible to make money fast. It can be fun, but be warned it is a form of gambling and can be addictive. Another option to make money without being in a full-time job is to jump on the multi-level marketing bandwagon. Tupperware, Avon, and Scentsy and are all reputable companies to work for. I know single mums who use them to make a steady income on the side. Just remember to be careful with companies you haven’t heard of before, and ensure you try the product you’re thinking of selling before you commit to it. You must believe in what you sell! E-books are a budget-friendly way to publish your own book, and can be a great money-making option for single mums who love to write. Publishing costs and revenue splitting are significantly reduced compared to print media, and allow you to tailor your audience worldwide. An interesting topic or how-to manual can make extra income and give you something to put on your future resume if you’re a SAHM. Finally, if you can’t see something on the list that appeals to you then try your hand at creating your own business. Graphic designers, personal assistants and handymen (ahem..women) are among the hundreds of professions you can choose from. Use free online marketing mediums such as Facebook, Instagram and Etsy to turn your skills into a profitable business. If you like your apps and online gaming you’ll love this. Become an Ubertester and get paid to test pre-released mobile apps and games. It offers complete flexibility and there are further career opportunities to become a team leader. Just think your input could be integral part to the creation of the next Candy Crush or Fortnight .. and your ‘cool’ status with rocket with your kids.